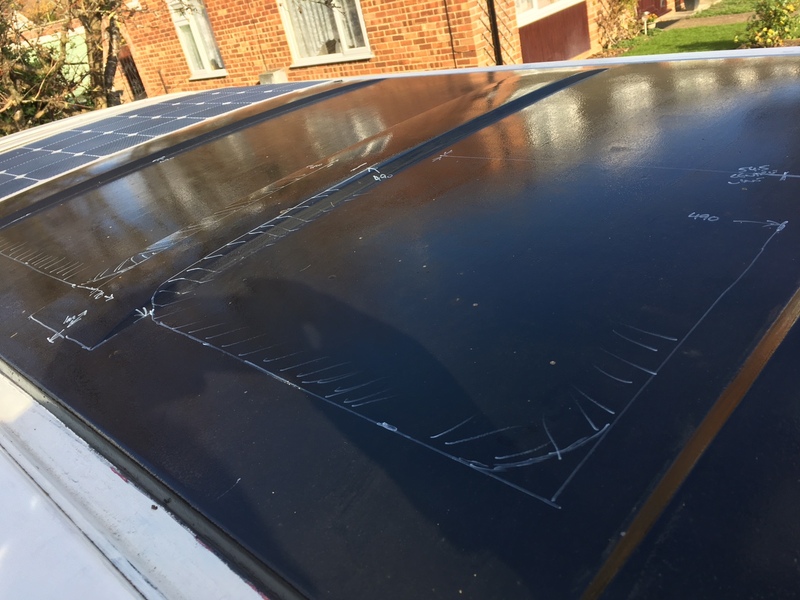 I fitted an electric sunroof not long after I bought the van and it’s been really good to have it. 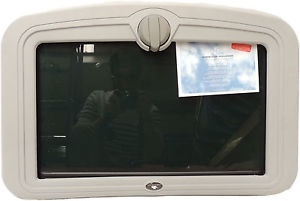 I then bought a Eurovan moon roof but that’s quite a project as I’d need to fit drain tubes. Still have it if anyone wants a go?? Then I bought a Polo Open Air roof, reskinned it and planned to fit that instead! That’s for sale too, with 3m of extra matching roof vinyl. PM me if interested! But after much much deliberation I’ve decided to go back to the quad sunroof idea. As you know the ribs are there in the roof and the third bay is shorter. Therefore I’m going to remove the second rib, plate a span of 1mm steel in and fit the middle two roofs. When that’s all good I’ll replace the front electric (and sell it!). 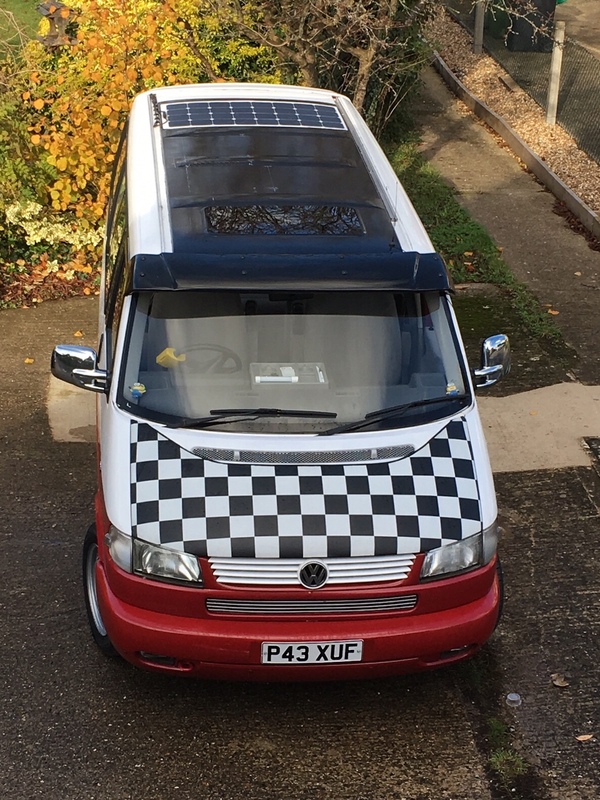 I always wanted to add a 4th roof to the rear bay but now I’ve fitted a solar panel I might not, nevertheless I may be able to if I can design a way of pitching the panel whilst camping (it’s already bonded onto an ally sheet so semi rigid). I’ve finally found a method of retaining a roof blower system as well. Hoping for good weather on Friday so I can commence phase one!! Last edited by Mickandsej; 13th November 2018 at 01:29 PM. Roof vents turned up today, factory lining from T5. Bloody huge! 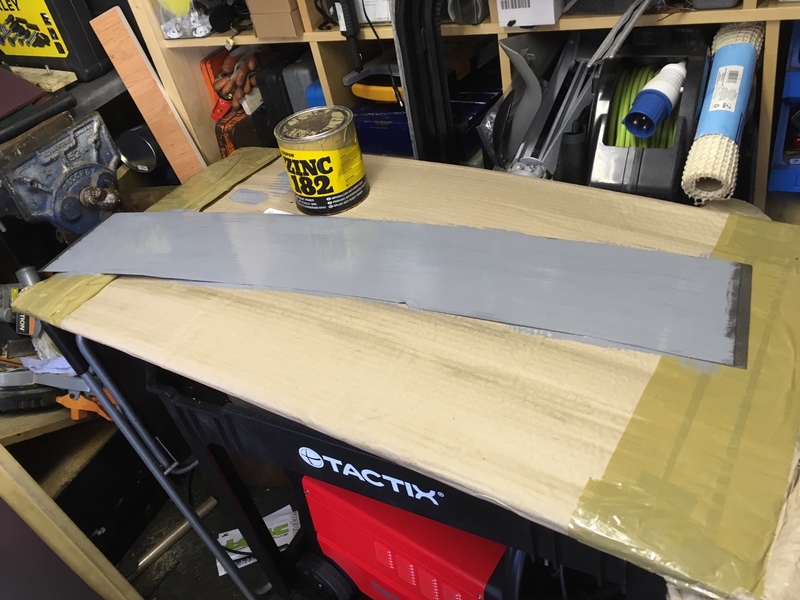 Can’t now use them on the cant rails, so going to use one over the tailgate and may fabricate a box to use the other for the rear saloon heater and floor lighting. Have primed fabrication panel in zinc 182. Looked again at the inside and definitely going for quad roofs now, as for the solar panel, will fab a mount to fit over the cab whilst off grid, run the feed through the window as I’ve got deflectors so weatherproof, saves a new cable run as the controller is under the drivers seat with the inverter. Bit tired as on lates last night, that’s it for today I’ve got a good day before work tomorrow, will cut the hole and tack in the infill then, prep to cut and temp fit two middle roofs on Friday. Keep weekend clear to keep wife on side! Anyways, looking forward to this project, thanks. Don't be shy with the photos....and good luck. Good few thick coats on, I know I’ll burn and scrub some off whilst welding but saves painting upside down and outside! Not the best primer - stinks too. I used it on my Caddy and found I had problems with rust resurfacing in short time - Go Electrox. Last edited by regcheeseman; 14th November 2018 at 02:30 PM. It’s new steel, degreased and scrubbed - would I be ok? All the small things, bud. 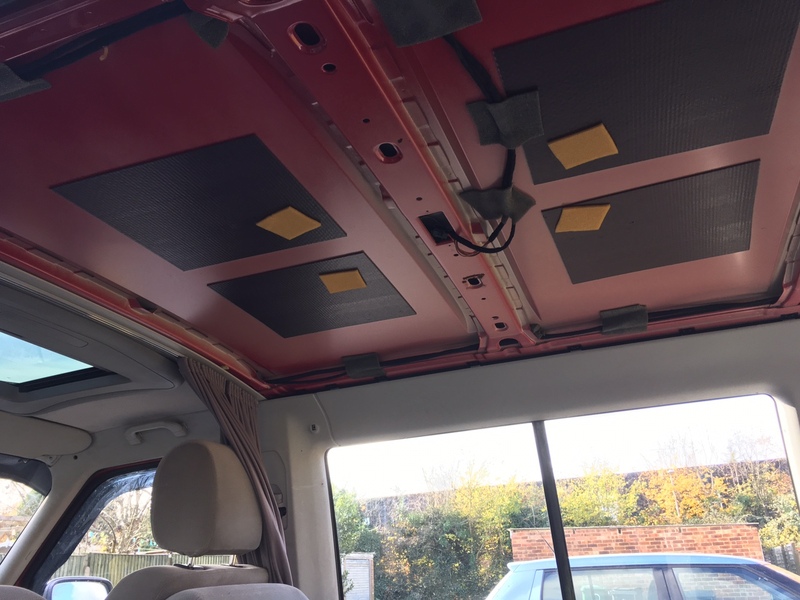 T5 roof liner arrived today, it takes up even more headroom than the T4 blower roof! I’ll end up with another inch or two in mine when all done. Going to put the triple blower run in the rear over the load area, shame to waste the blower system. 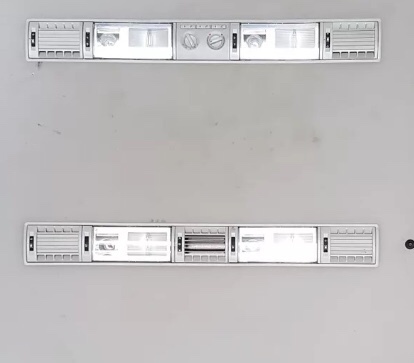 Last edited by Mickandsej; 14th November 2018 at 06:36 PM.